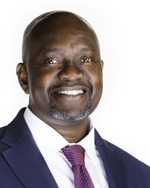 Dr. Sokan is a Family Medicine physician with over 28 years of experience. Spending much of his career in Emergency Medicine, Dr. Sokan has worked with many individuals with mental illness, addiction, and trauma. He has extensive experience with treatment related to addiction and is licensed to provide Suboxone, a medication-assisted treatment for opioid addiction. Dr. Sokan is passionate about being a strong advocate for his patients. He believes in a holistic and multi-disciplinary approach to patient care, enhanced by maintaining relationships with the outpatient team (such as recovery coaches, peers, and therapists) as well as specialty providers in the community. Dr. Sokan is a member of the American Medical Association, American Association of Family Physicians, the American Society of Addiction Medicine and the Kentucky Medical Society. He is licensed to practice medicine in Arizona, Arkansas, Kentucky, Ohio, Michigan and North Carolina.